It seems the liberal so-called “mainstream media” have gone beyond simply supporting Democrats over Republicans. Not only is it decidedly anti-Trump, it appears to have willingly decided to side with North Korea, effectively becoming propagandists for the brutal Communist regime. As the 2018 Olympics Winter Games began in South Korea, reporters from various networks clapped like seals at North Korean dictator Kim Jong-Un’s pathetic attempt at charming journalists into accepting his regime as legitimate, choosing to woo them over with synchronized cheer squads and having his sister Kim Yo Jong leer at Vice President Mike Pence. CNN led the charge, tweeting out an article with a title claiming that “Kim Jong Un’s sister is stealing the show at the Winter Olympics.” What show she’s stealing is unclear, as most Americans were under the impression that they were trying to watch sports, not dolled up murderers. Unsurprisingly, CNN needed three of its best and brightest reporters to come up with that thesis. 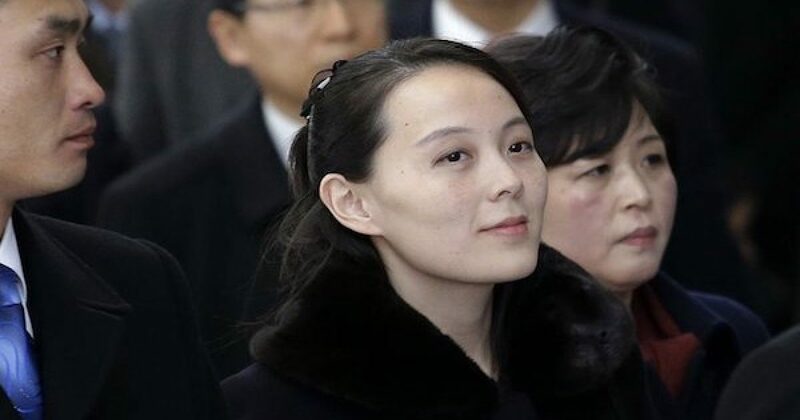 The 2018 Winter Olympics were in full swing and Kim Yo Jong, the sister of North Korean dictator Kim Jong Un and head of their Propaganda and Agitation Department, had bizarrely become a liberal media darling. Despite the fact her job entailed censorship and glorifying public executions, numerous outlets had touted her for “stealing the show,” winning “diplomatic gold,” being the “Ivanka Trump of North Korea,” and hyping the extremely creepy North Korean cheerleading corp.
CNN, who has a history of climbing into bed with murderous regimes (Iraq and Saddam Hussein) to stay relevant, was one of the more notable outlets singing North Korea’s praises. On Saturday, three reporters published a disgustingly gooey puff piece about the North Korean gulag queen “stealing the show” at the Olympics. It goes without saying that North Korea’s conduct during this weekend was a deliberate attempt to make their regime appear sympathetic and create the illusion that the United States is the true barrier to peace between the two nations. Journalists, with their fancy degrees and ostensible interest in appearing educated, should know this better than anyone else. Of course, only one thing could cloud their moral judgement this much: A Republican in the White House. Not just any Republican, but Donald J. Trump. Although, we suspect it wouldn’t matter which Republican was in the White House.